One of the rarer Irish bat species, the Natterer’s bat likes woodland, mature hedgerow and pasture habitats. 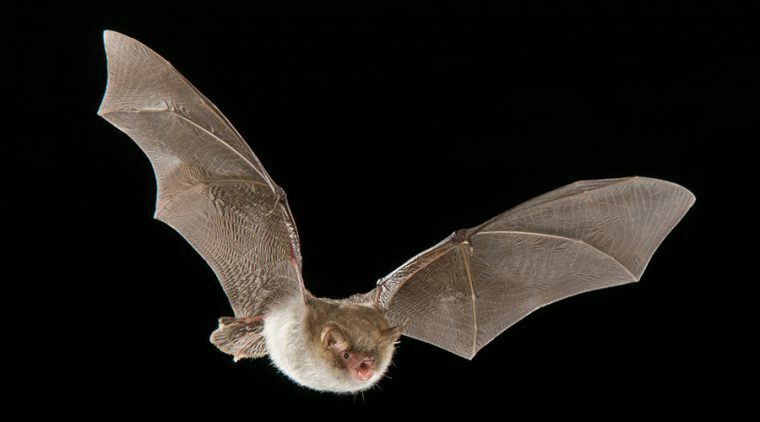 The Natterer’s bat has broad wings so can fly with great manoeuvrability among trees and around hedgerows. It sometimes gleans insects or even spiders from foliage and may eat larger prey at a feeding perch. Its usual roost sites are in tree holes, old stone buildings such as churches and barns, and under bridges. This species has a fringe of stiff bristles along the trailing edge of its tail membrane, which may help to hold or trap its prey.